Photo by Jen Gallardo on Flickr and used with Creative Commons license. Imagine you’re a senior manager at a leading videogame company. Your job is to devise the company’s competitive strategy in a rapidly growing and dynamic industry. What prices will you set for the consoles? How many games will be available for your platform? This is the premise of Platform Wars, an epistemic game, or management simulator, developed by MIT’s Sloan School of Management. The game’s learning objectives are to allow students to interactively experience the challenges of strategic competition in complex and dynamic markets. Epistemic games fit the learning requirements of today's world because they allow students to role-play professions while learning skills that they apply in the game." Epistemic games are computer games that are essentially about learning to think in innovative ways. They’re designed to be pedagogical tools for the digital age where the player learns to think like professionals by playing a simulated game of such professions as management, engineering, journalism or urban planning. As schools aim to prepare students for life outside of school, they need to realize that the world now values knowledge and skills that can be applied in creative ways. Epistemic games fit the learning requirements of today’s world because they allow students to role-play professions while learning skills that they apply in the game. 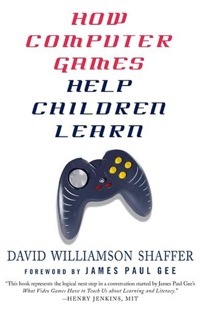 One of the nation’s leading scholars on epistemic games is David Williamson Shaffer, whose landmark book, “How Computer Games Help Children Learn,” demonstrates how particular kinds of video and computer games can cultivate innovative thinking. Shaffer outlines how modern schools developed in a particular time and place to meet the specific economic and social needs of industrialism and now, he contends, education needs to change to fit the needs of our current world. The traditional educational paradigm prepared students for a world of standardization, whereas today’s world puts a premium on independent thinking and creativity. As a result of the social and economic sea change, schools need to foster innovative thinking. 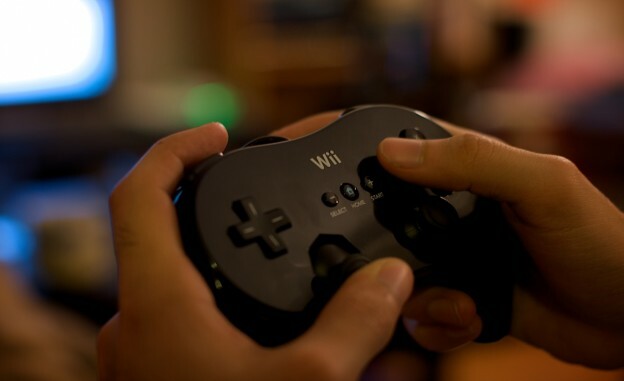 Shaffer believes one of the best ways to do this is through what he calls epistemic games: video or computer games that are essentially about learning to think in innovative ways in a post-industrial, global economy and society. Epistemology is the study of knowledge and, according to Shaffer, every age has its own epistemology, i.e., what it means to know something. Computers — which are increasingly becoming ubiquitous in work and school — provide the means to think in new ways, which will fundamentally reconfigure our thinking and theories of knowledge. Computers in general, and epistemic games in particular, are structuring new epistemologies for our digital age. While this kind of epistemology may have been appropriate and even innovative for the Industrial Revolution, it is outdated for our informational economy and digital age. Being literate in the digital age uses reading and writing as a foundation to build upon, but they are no longer solely sufficient. Students must learn to produce various kinds of media and learn how to solve problems using simulations. Epistemic games are organized around epistemic frames. Any profession is structured around a culture that is composed of skills, values, knowledge, identities and an epistemology that anchor how creative professionals operate. Shaffer calls this configuration an epistemic frame: an integral theory of learning that sees how the collection of a profession’s knowledge and skills synergistically work together to create a learning community. Professionals learn to acquire their epistemic frames, i.e., their knowledge and skills, in ways that are very different from traditional classrooms because the creative thinking today’s jobs demand require more than knowing a standardized answer. In addition, their thinking, problem solving and communication need to be integrated into the real world of work. One epistemic game Shaffer writes about is SodaConstructor, which uses the epistemic frames of engineering and physics. SodaConstructor lets players construct a virtual creature of their own design and then simulate how that creature would operate once gravity, friction and muscles enter the equation. In order to get their creatures to successfully walk in this virtual world they need to understand a couple fundamental physics and engineering concepts: center of mass and cross bracing. Once key concepts are understood, players then begin to frame their project in a way real engineers creatively think: creating designs, building them, and then testing alternatives as well. Aran Levasseur has an eclectic background that ranges from outdoor education to life coaching, and from habitat restoration to video production. He taught middle school history and science for five years, where he integrated technology into his classes to enhance his teaching and student learning. Aran recently gave a talk at TEDxSFED on videogames and learning. 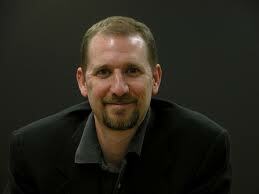 Currently he’s the Academic Technology Coordinator at San Francisco University High School. You can follow him @fusionjones on Twitter.